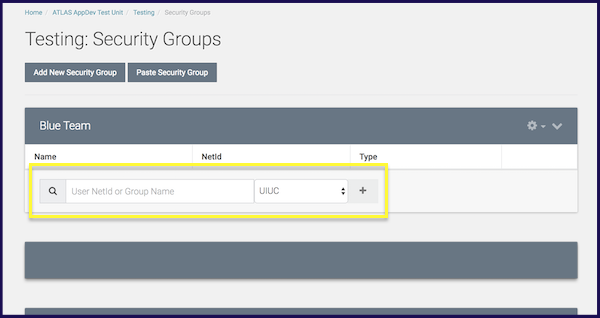 This tutorial provides a step-by-step guide on how to create a new security group to use with form settings. 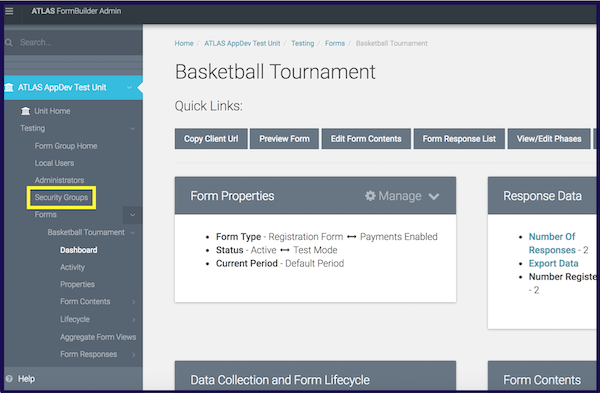 When adding phase permissions or completing other tasks in FormBuilder, it may prove useful to add a new security group that includes specific users. 1.) To do this, first go to the 'Security Groups' tab on the sidebar in FormBuilder. 2.) This brings up a list of all the groups that have been created in your account. 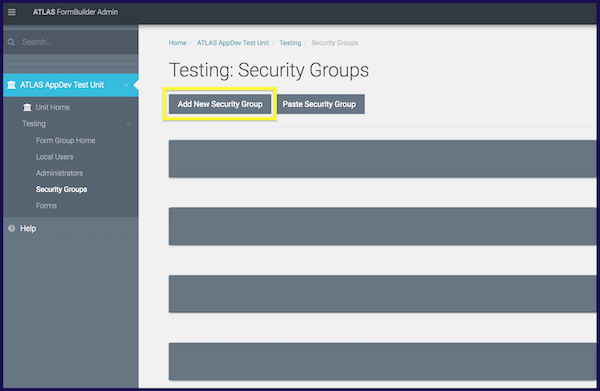 To create a new one, select 'Add New Security Group' at the top of the page. 3.) This option opens a new window where the user can customize the name of this new security group. Enter a name and select 'Save'. 4.) Once the group is created, the user can begin adding individuals to it. Search group names or University NetIDs and then select the ' + ' symbol to add members. Users should make sure they are using the correct location (UIUC, UIC, UIS) in conjunction with specific NetIDs. NOTE: The administrator may add or delete users from these groups at any time.